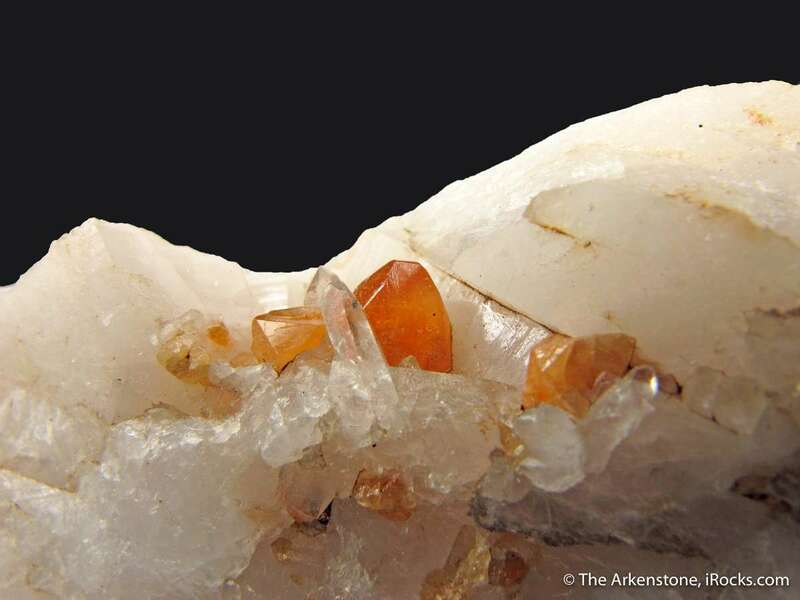 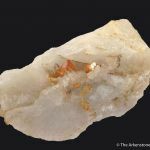 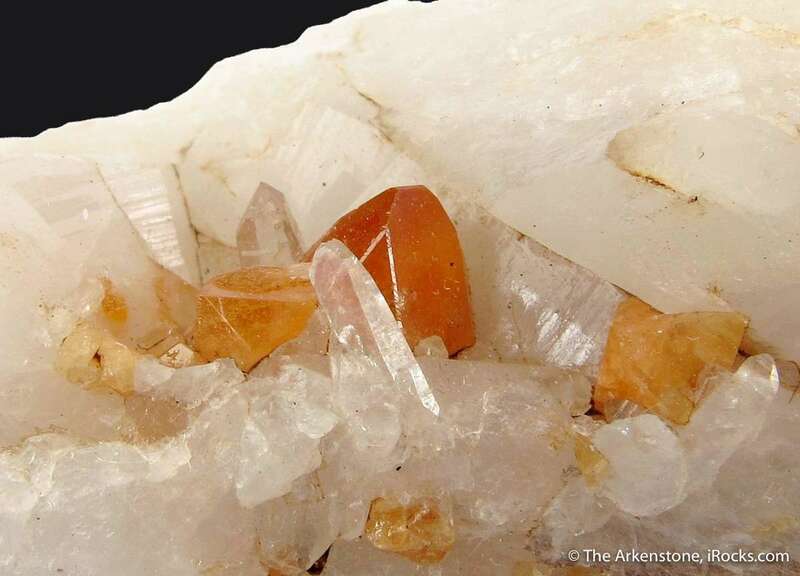 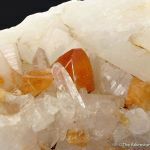 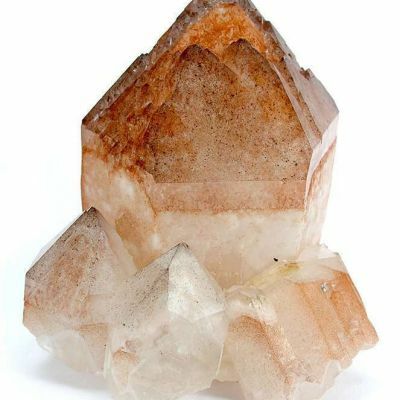 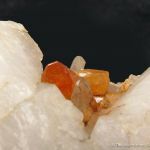 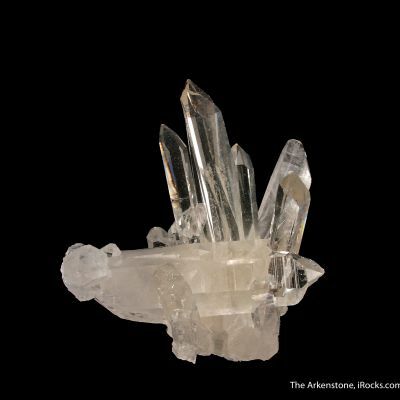 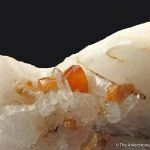 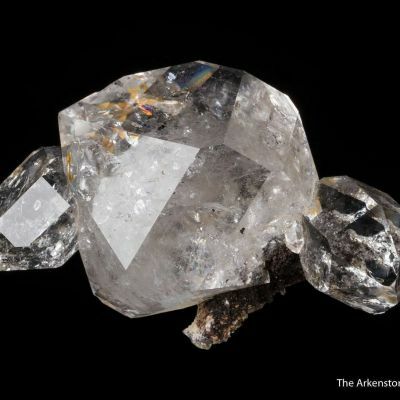 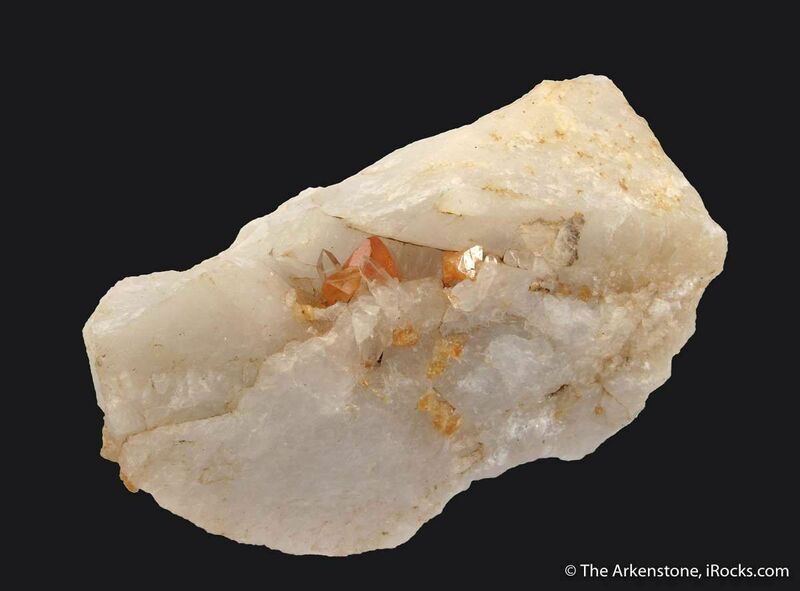 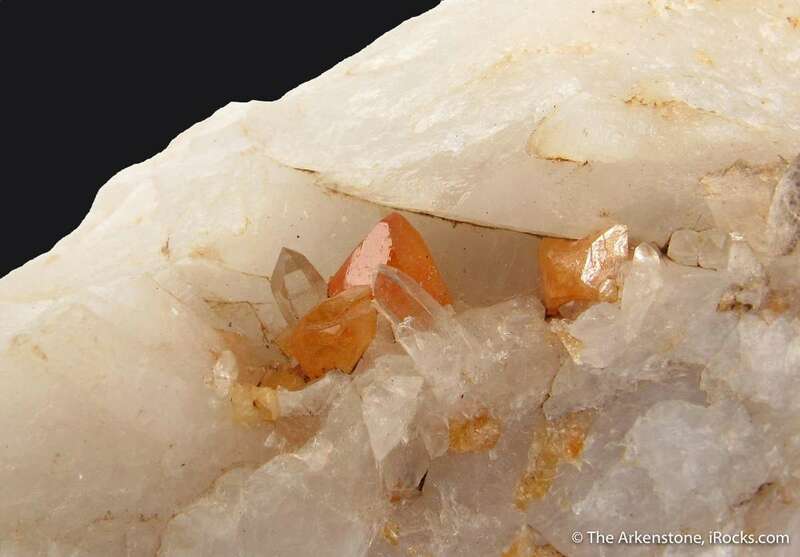 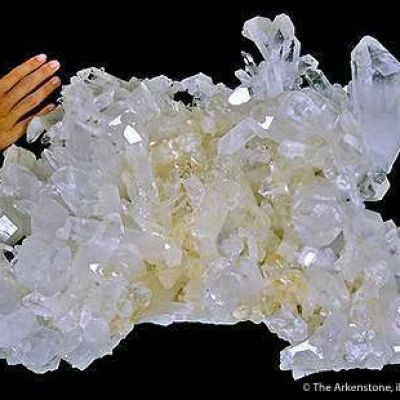 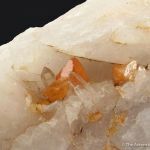 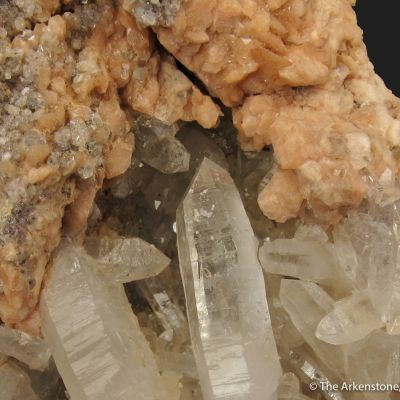 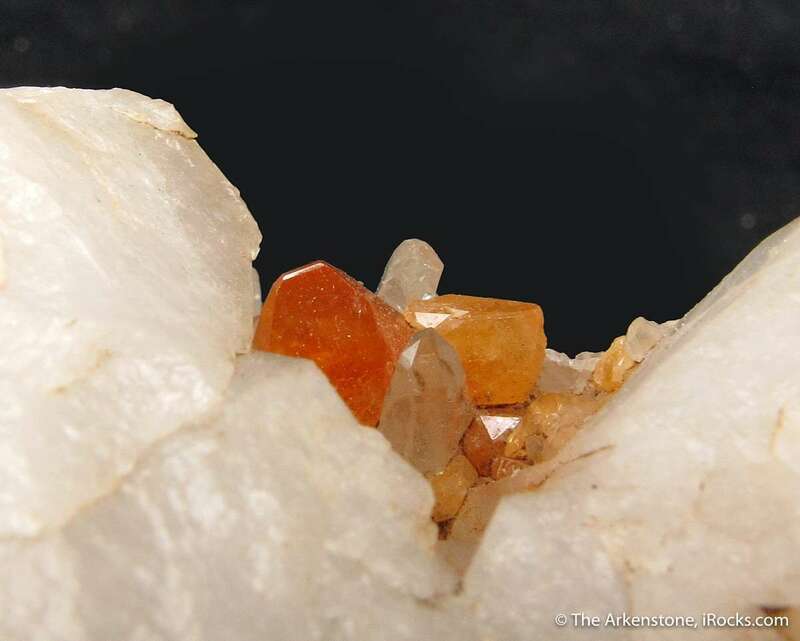 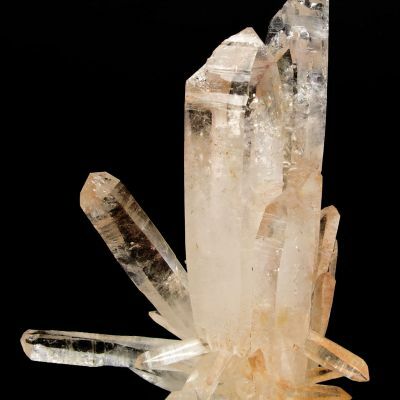 Three small, but select, Scheelite crystals are found in this pocket within massive white Quartz. 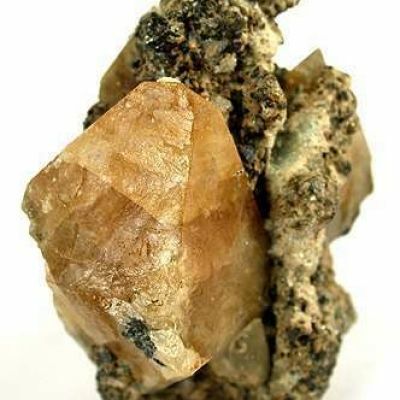 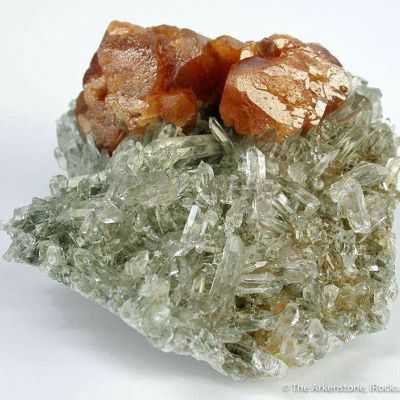 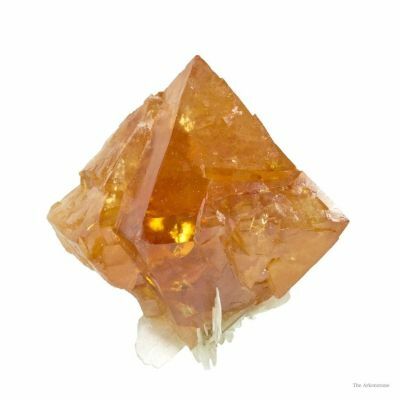 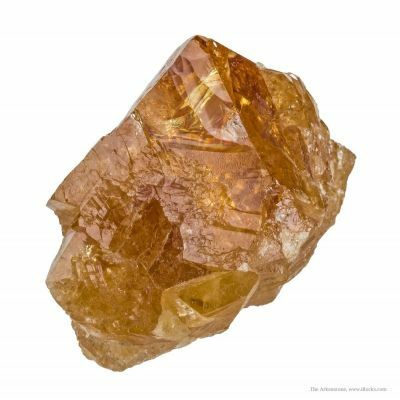 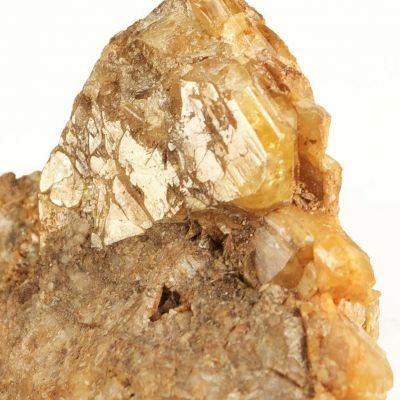 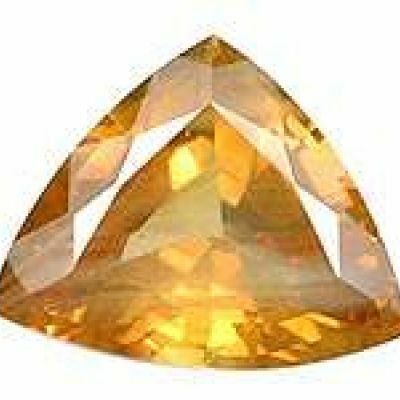 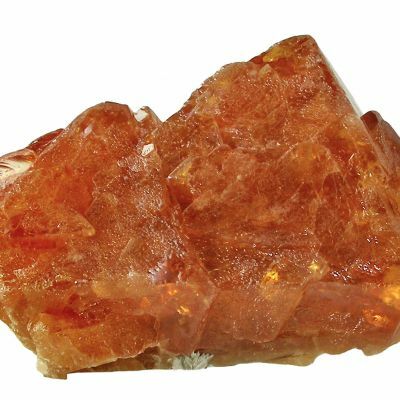 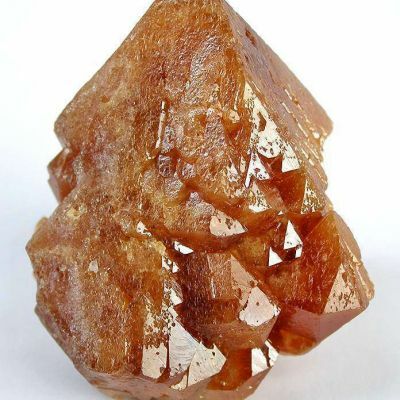 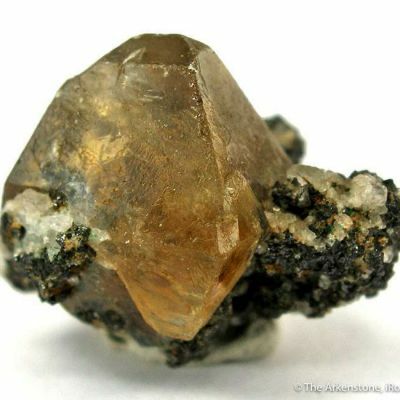 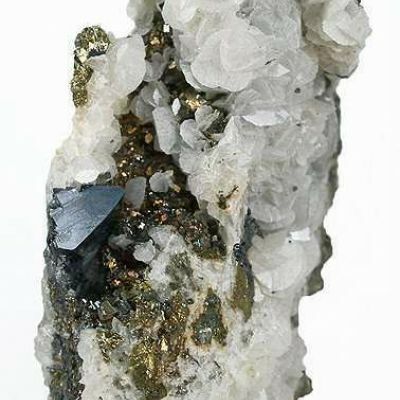 The main Scheelite is 4 mm tall, has excellent luster, and sharp form. 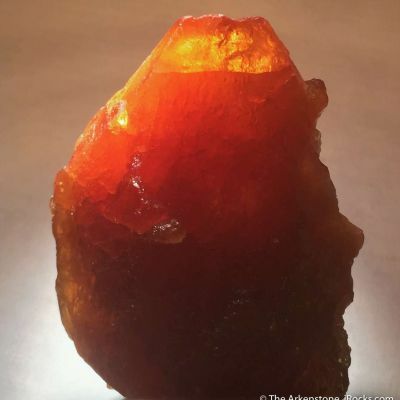 It is actually gemmy to translucent, with a rich butterscotch color. 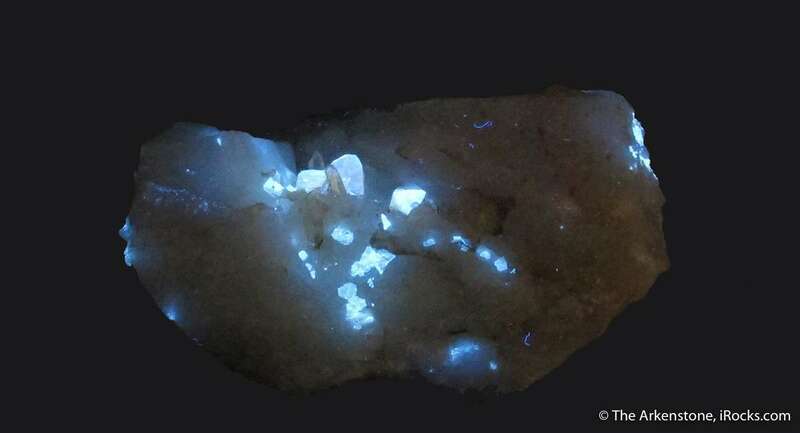 As expected, the Scheelites have a bright white fluorescence. 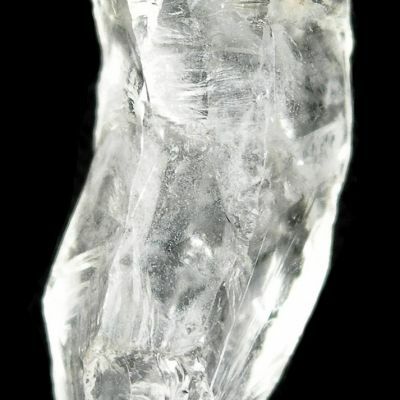 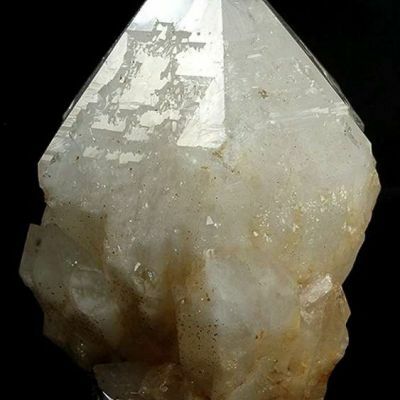 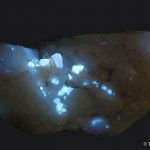 They are accompanied by several clear Quartz crystals. 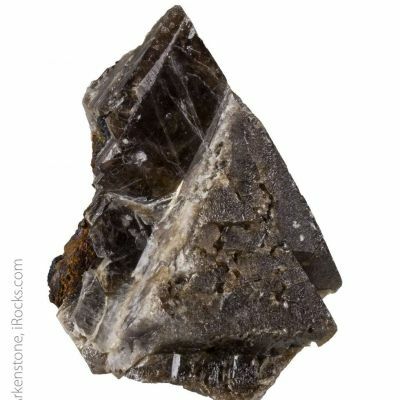 This is the a really cute, interesting locality Scheelite specimen!